This week, we have not one, but TWO fabulous “Dream Homes”. Yesterday, we took a look at Alaina’s fabulous dream abode and today, Stephanie of Covet Living is sharing what she would want in her dream home. I think you’ll find her home very inspiring! Hi there! Stephanie here from Covet Living. I am so geeked to be a part of the Dream Home series! A HUGE thanks to resident superwoman Paloma for being so gracious and passing me the mic for a minute. 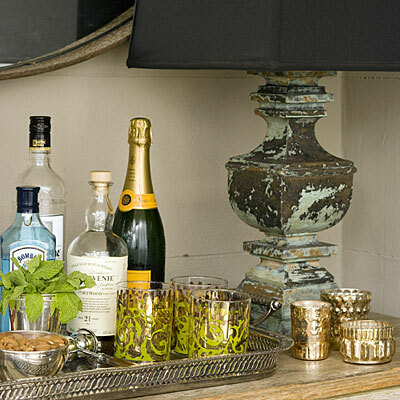 If I had to describe my style, I would say it’s a cozy brand of traditional chic with splashes of color and whimsy. 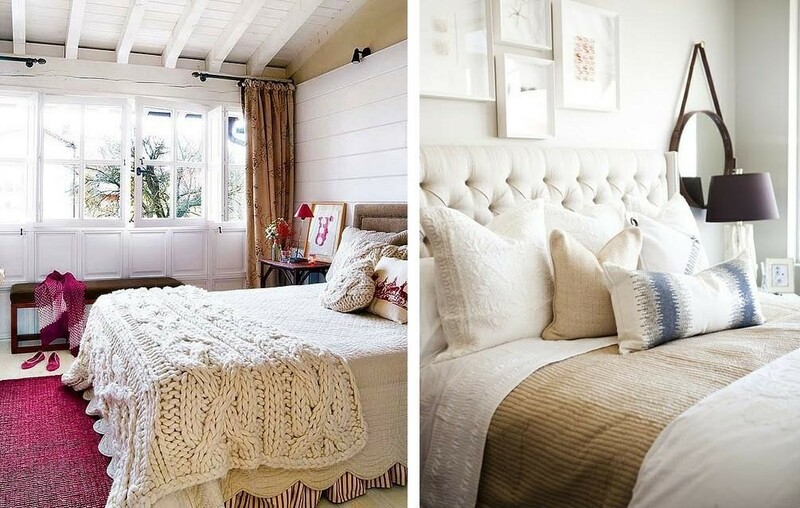 I always gravitate towards whites and weathered wood, love antiques, and herald comfort above all else. Design that’s untouchable or ostentatious literally makes my stomach hurt. 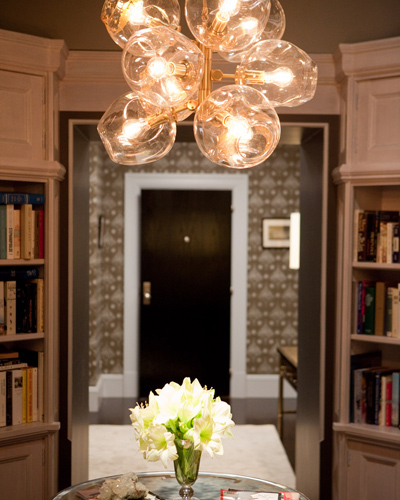 To me, choosing my favorite interiors always boils down to 2 things: 1) Did I (gasp!) when I saw it? And most importantly, 2) Is it welcoming, and would people feel at home here? 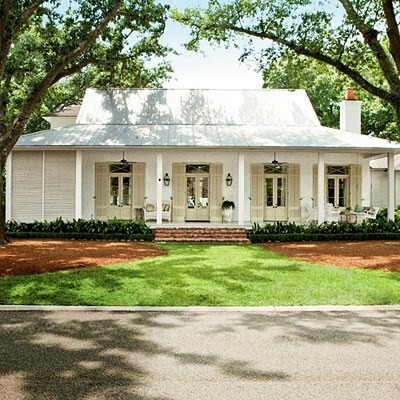 My dream home looks about like this on the outside… sweet, simple and southern, with plenty of room to lounge with a cup of coffee on the front porch. But I would re-do the metal roof in a greenish-patina of copper, beef up the landscaping (think gobs of peony bushes) and add a little cobblestone walkway. Please, come in! This is the foyer. 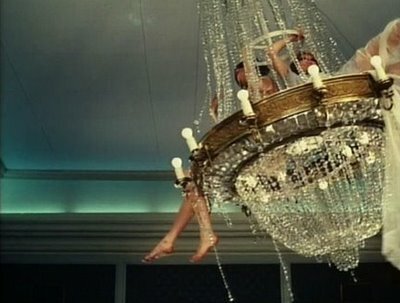 I love the funky yet refined bubble chandelier, which I swiped from Carrie & Mr. Big’s apartment. I almost always gravitate towards white kitchens, but this one has always struck me as absolute PERFECTION. It’s equal parts old fashioned (the primitive wood table, the pendants over the island), modern (the sleek, dark cabinetry and Viking appliances) and whimsy (the Murano glass chandelier and cement tile floors). In said dream house, I also have a little breakfast nook off of the kitchen that is perfect for lazy mornings when it’s raining outside. 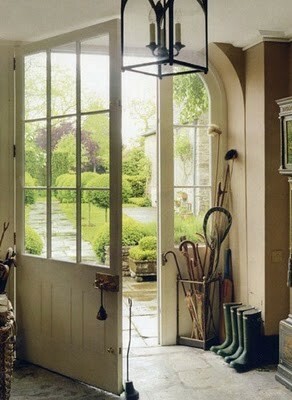 I love the floor-to-ceiling glass doors, the cream woven chairs, and the farmhouse sink. I’m also pretty sure I can hear Billy Joel or James Taylor playing in the next room. 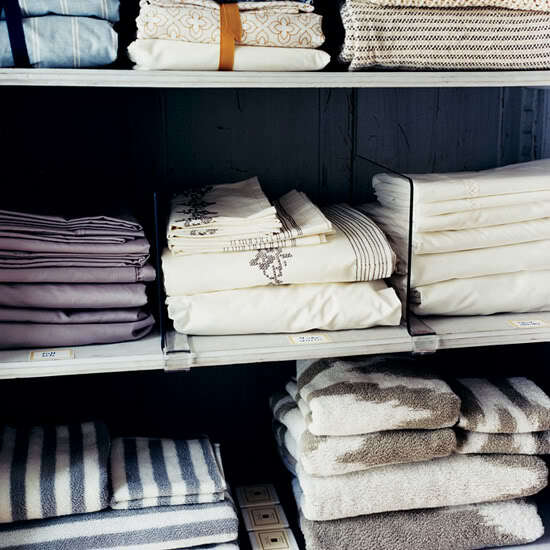 PS: if my peeps run out of linens, there’s a linen closet right outside in the hall. Help yourself! I love this hall bath. It’s like Sleepless in Seattle meets Casablanca… meets my 1920’s era elementary school, because that is the last time I’ve seen a black toilet seat. I dig it. In a dining room, I would normally prefer an oversized, farmhouse or Belgian sort of table. And maybe some crazy chairs upholstered in a colorful ikat. But this dining room knocks my socks off. 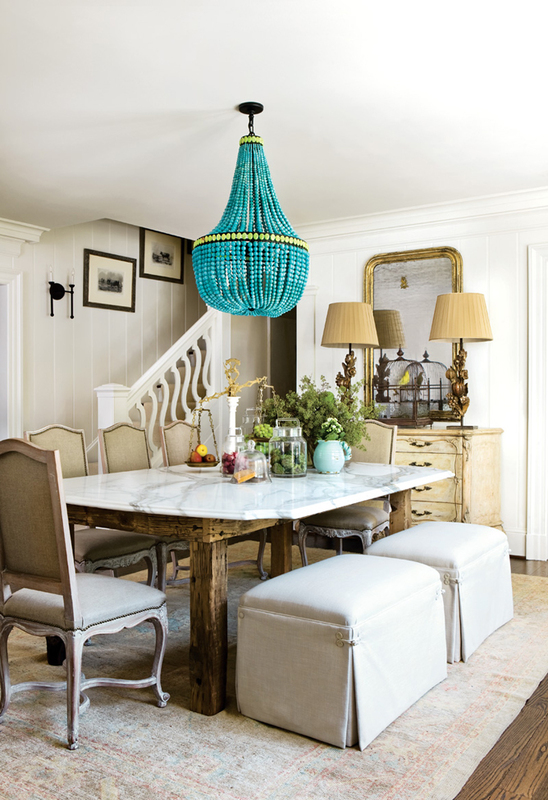 The turquoise chandelier, the perfectly carved marble slab atop a couple of 2x4’s screwed together with bolts, those glorious antique bronze lamps… I can’t even handle myself. The same way I claim to love tall, dark & handsome boys, yet always end up dating blonde surfer dudes an inch taller than me, this is like the dining room I never knew I always wanted. When it comes to the master bedroom, I always like to keep it super simple, and no matter how much I swoon over the gorgeously crazy bedding at Anthro, I have never been able to stray from all-white bedding; nothing looks crisper or cleaner. This room is divine – the taut white sheets, the simple antique bed, the cashmere throw, the luscious lilac pillows that pick up on the lavender wall color, and that sunburst mirror. Yum. In my master bath, I absolutely love this massively oversized chandelier, the clawfoot tub, the light (!!! ), and the fact that an antique vitrine (the wooden cabinet) was repurposed as a linen closet. That’s sheer genius. I also love that cement tile flooring is bringing the party in an otherwise neutral and quiet room… and that this bathroom is big enough to do cartwheels in. 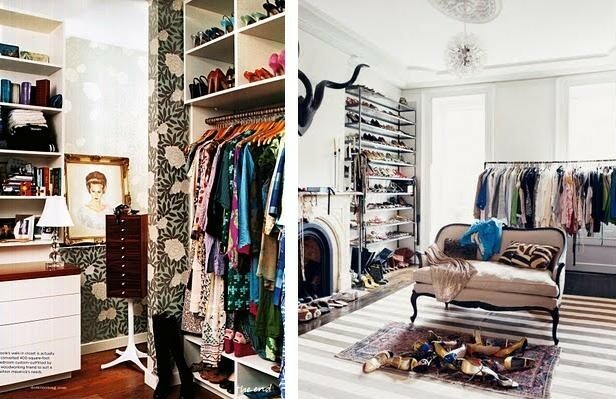 As for my closet, I would love to have this O&L Asuka Wallpaper (left) in THIS closet (right). I love the architecture – the moldings, the ceiling medallion, the carved stone fireplace… the settee… the sweet little oriental rug layered over the massive grey-and-white striped one… and the freestanding shoe & clothing racks. Almost makes me feel like I’m shopping at J.Crew. 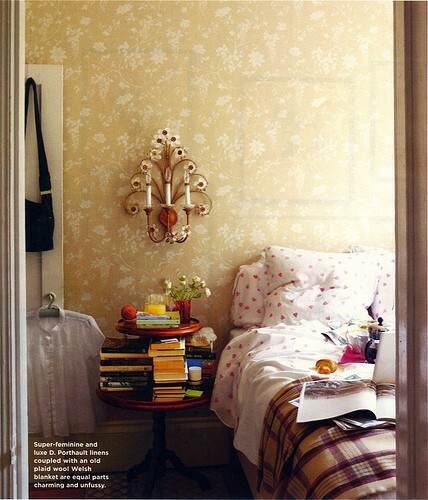 Which I probably am, since this is Jenna Lyons’ closet. My grandparents also need a room when they come to visit, and this one’s perfect for them… what grandma wouldn’t love sheets with little hearts on ‘em + that sweet vintage wallpaper? Plus, I know Bud would love a good flannel blanket that looks just like his favorite pair of britches. This has GOT to be the most beautiful laundry room I’ve ever seen. Who wouldn’t want to do 14 loads a day in here? …and to hang out with some friends, with the smell of charcoal wafting through the air and a red fuzzy golden retriever at my feet. 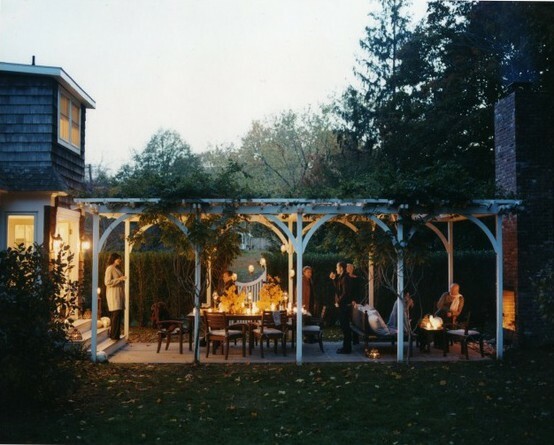 I love that this little patio has a trellis for greenery to grow around it (also perfect for hanging string lights), and not only has a little dining area, but also a fire pit or two so you can cozy up and roast marshmallows for dessert. Heavenly. 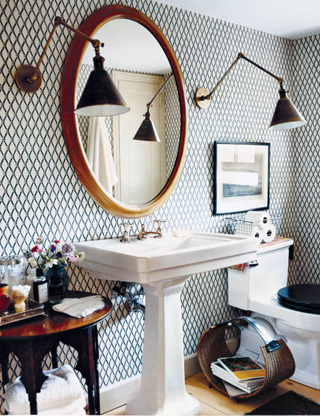 Quite amazing - that Farrow & Ball wallpaper is stunning! 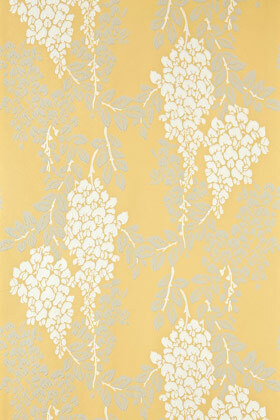 I bought similar Farrow wallpaper from DecoratorsBest at a huge discount and I just love it! Absolutely gorgeous pics! 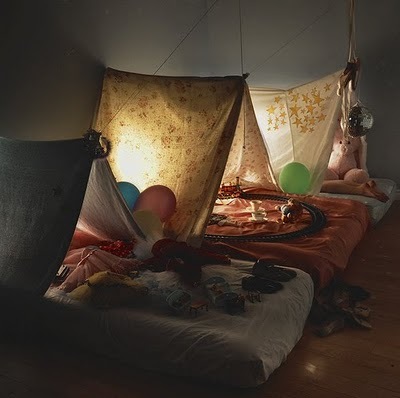 Especially love the lantern in shot. 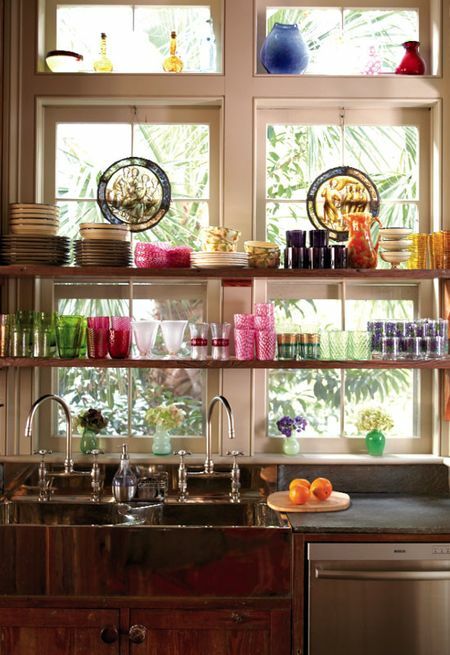 I absolutely love this dream home...especially the kitchen! 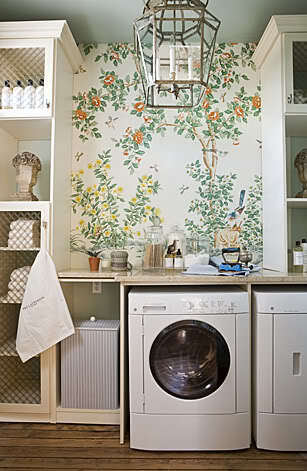 Could you please share the brandand pattern of the laundry room wallpaper? Thank you! 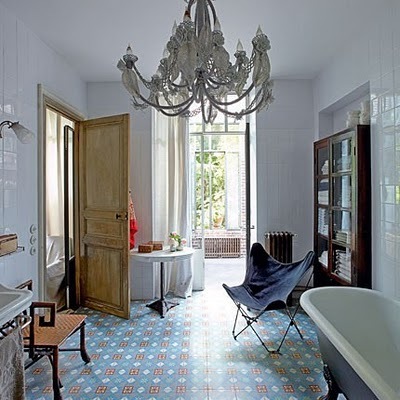 Love the use of cement tiles in the bathroom and kitchen! They really add color, depth and dimension to both spaces. Do Tell: Do you veer towards silver or gold? Do Tell: Which paint color should I choose?